Congratulations to the following Norphlet Elementary School students who met their Accelerated Reader (AR) goal for the second nine weeks! Posted in Buckaroo News on December 21, 2018 by The Buckaroo Blog. Congratulations to the Smackover High School students who met their Accelerated Reader (AR) goal for the 2nd nine weeks! Special recognition also goes to Mrs. Richardson’s sophomores for such a large number of them meeting their goals. 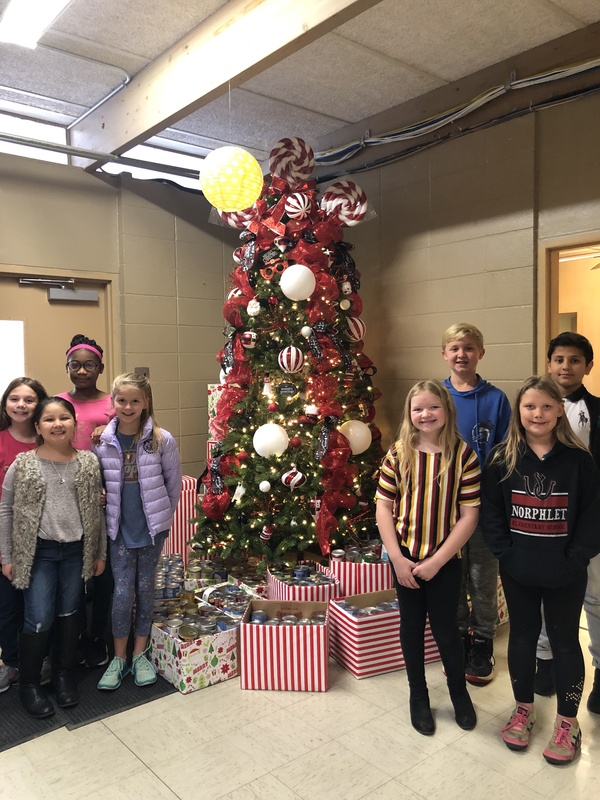 Norphlet Elementary Student Council members collected 623 cans throughout the month of December for the Smackover First Baptist Church food pantry. The class that collected the most cans was Mrs. Winright’s 1st grade class. They collected 192 cans. Posted in Buckaroo News on December 20, 2018 by The Buckaroo Blog. The Smackover-Norphlet School District will be closed for Christmas break on Thursday, December 20. Classes will resume on Thursday, January 3. May you and your family have a happy and restful Christmas break! Posted in Buckaroo News on December 19, 2018 by The Buckaroo Blog. Smackover Preschool students in Ms. Donna’s class took sugar ice cream cones and turned them into Christmas trees. They had a blast decorating them, but enjoyed eating them the most! Congratulation to the following Smackover Elementary School students who met their Accelerated Reader (AR) goal for the second nine weeks. As a reward, these students were able to decorate (and eat!) Christmas cookies! Posted in Buckaroo News on December 18, 2018 by The Buckaroo Blog. 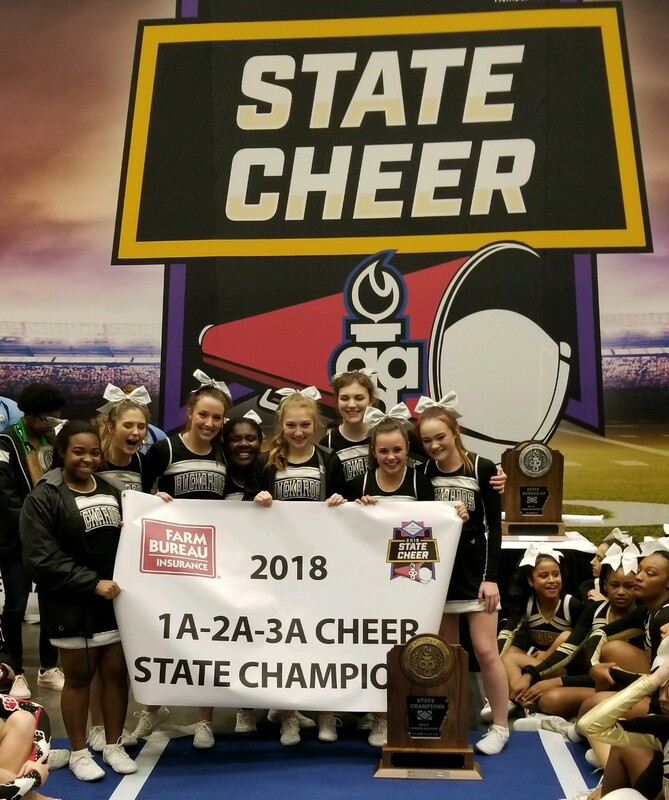 Congratulations to the Smackover High School cheerleaders for winning the AAA state championship in cheer for 1A, 2A, and 3A! The competition was held Saturday, December 15, in Hot Springs. Posted in Buckaroo News on December 17, 2018 by The Buckaroo Blog.